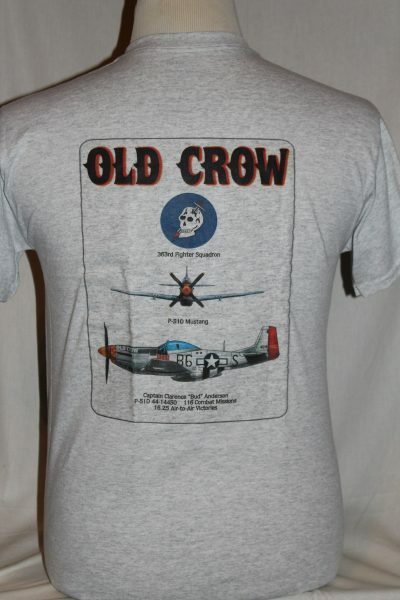 The "Old Crow P51" shirt is a two sided print in the color grey. 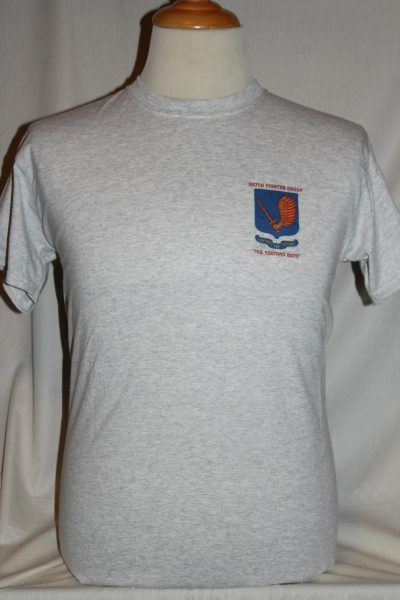 Front Design: 357th Fighter Group. 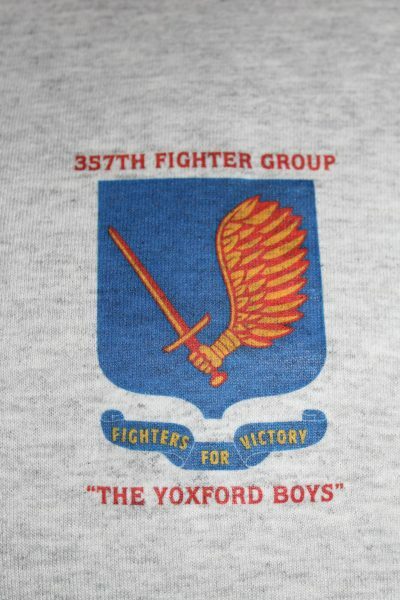 Nickname: "The Yoxford boys". 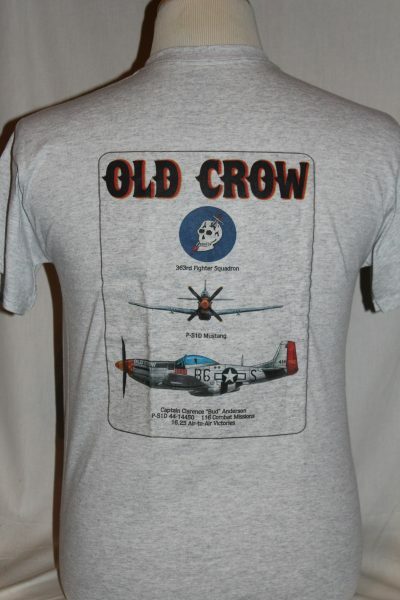 Back Design: Front and side view of Captain Clarence "Bud" Anderson's P51D with squadron symbol and text.